At a time of such uncertainty and suffering, we need Debbie Ford more than ever. Help spread her message of relentless love and strength in Your Holiness. 1) Send an announcement to your email list (and/or feature the book on your blog/website). I'm excited to share a recently discovered unpublished work by Debbie Ford, the beloved spiritual teacher and #1 New York Times bestselling author, in which she reflects on the astonishing holiness that resides in each of us. On the fifth anniversary of her passing, and written during her long battle with cancer, Your Holiness is a raw and poignant exploration of the godliness that dwells in all of us. 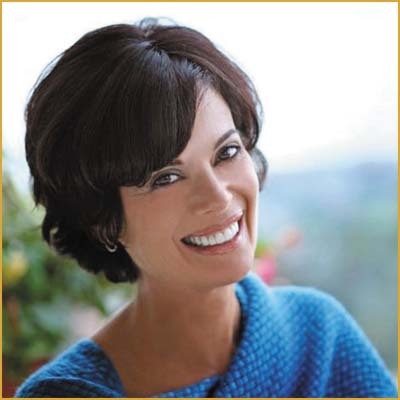 With Debbie’s trademark brutal honesty and keen insight, the book is a bold call to unearth our latent spirituality. Filled with deeply personal stories about her own struggles and spiritual journey and motivational prayers, Your Holiness is a profoundly accessible pathway to harnessing the spiritual essence (holiness) that we all have. Engaging and accessible, clear and unwavering, Your Holiness is a gift to the soul—a rare book that both guides and nourishes. At a time when so much in our world feels uncertain and suffering is so widespread and persistent, Your Holiness grounds us in the here and now while delivering a timeless and empowering message of relentless love and strength. 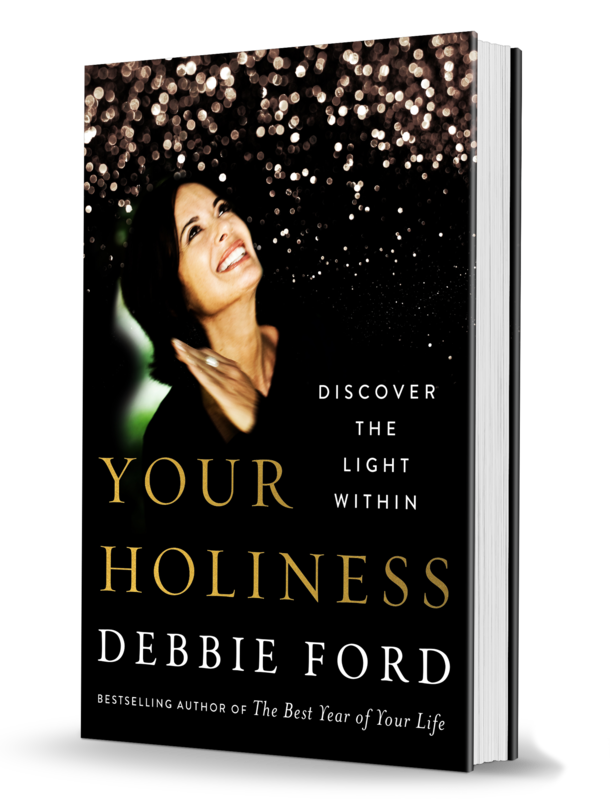 Although she passed away five years ago, beloved spiritual teacher Debbie Ford’s powerful legacy continues with YOUR HOLINESS—a recently discovered unpublished work that will help us all discover the astonishing light within. Combining motivational prayers with deeply personal stories about her own spiritual journey, New York Times bestselling author Debbie Ford translates her experience into a practical path for transformation in YOUR HOLINESS. 3) Share some of Debbie's most profound statements from the book. 4) Share a sneak peek of the book. Right-click (PC) or Control-click (Mac) to download. DEBBIE FORD (October 1, 1955–February 17, 2013) is the national bestselling author of The Dark Side of the Light Chasers, The Secret of the Shadow, Spiritual Divorce, The Right Questions, The Best Year of Your Life, Why Good People Do Bad Things, The 21-Day Consciousness Cleanse, The Shadow Effect, and Courage. HarperOne created a beautiful animated video prayer you can use for promotional purposes. Click here to download.